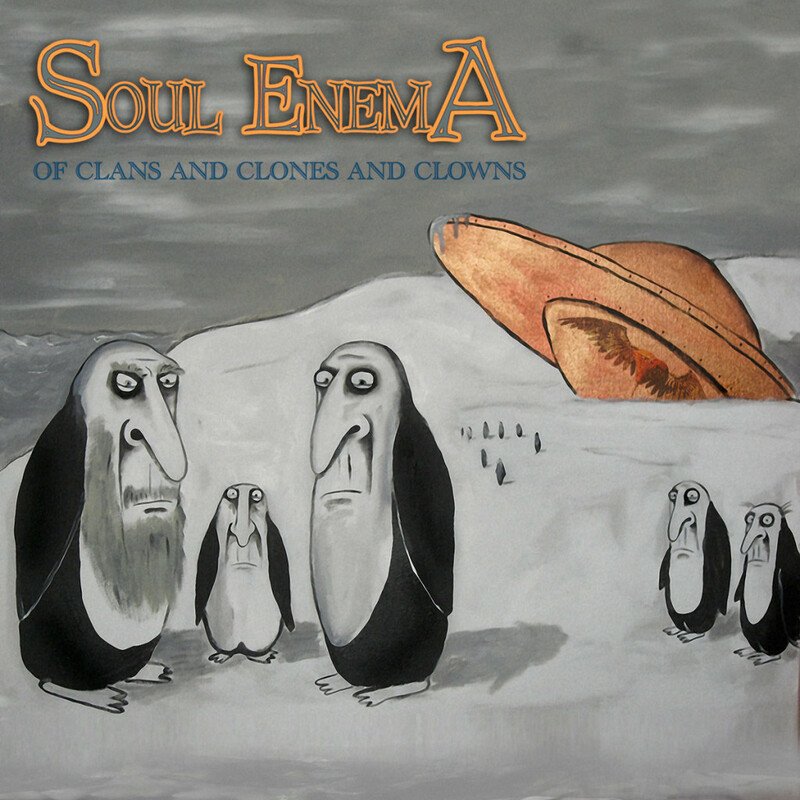 Soul Enema has been active since 2001. The band combines conventional melodic rock aspects with a different, occasionally more experimental way of writing. Their music is influenced by progressive rock and metal, ethnic, psychedelic, jazz-fusion, sympho-rock elements etc., with a somewhat theatrical approach to the lyrics. In the fall of 2009 the work on debut album named Thin Ice Crawling was completed. The album was released in April 2010 via MALS/Musea Records, to very positive international reception. It was nominated for the Prog Award in the Best Debut Album category, also peaking at the Prog Archives 20 Best Records of 2010 chart by the end of year. In the following years, while writing new material for the band’s second release, Constantin Glantz gathered a fresh, exciting line-up of musicians, to carry on with new energies and expanded stylistics. The second album, titled Of Clans and Clones and Clowns is out on June 23, 2017. Featuring 70+ minutes of music, prime international guests, which include Arjen Lucassen (Ayreon, Star One), Yossi Sassi (ex-Orphaned Land, Yossi Sassi Band), and mixed by Jens Bogren (Opeth, Devin Townsend, etc. ), the album is an intriguing step forward in every possible aspect.